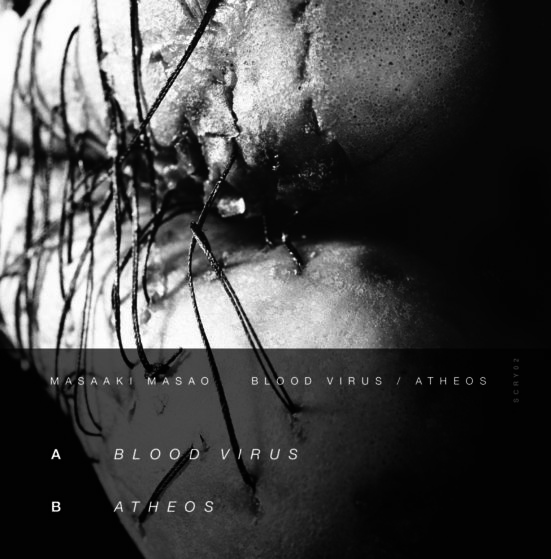 From foreboding to assaulting in one cohesive and tension-filled listening experience, this latest body of work serves metaphorically as the soundtrack to a dystopian world where malevolent microorganisms and man are at war with one another. The body experiences the increasing cacophony of the invading disease before an all out viral assault causes it to succumb. This is a dark, organic and punishing foray into ambient doom that then melds into caustic electronic noise walls and cascading waves of synthetic catastrophe; a piece experienced by The Listener who becomes the host to a malevolent pathogenic microorganism. Taking place primarily in three segments, the first stage is exposure, the second stage is infection, and the final stage is death – marked by a flatline of near silence – then an abrupt, stark end. Experience through sound what a host body experiences. As the listener you are the host and this piece is the disease.